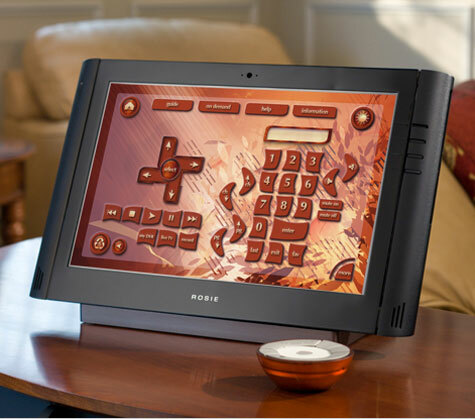 The ROSIE family of 13.3″ Widescreen Touch Panels are leading-edge wireless or wired solutions providing convenient, intuitive and graphically-rich control. The touch panels are designed for easy wall mounting, and the built-in video camera, microphone and speakers provide application feedback—ideal for video chatting or intercom systems. Also, the user-defined programmable buttons place your favorite scenes conveniently at your fingertips. At the simple push of a button, you can control your entire home.